♥ Dear God, Thank you for another week. The older I get the more comfortable I get with myself and I think that is because of you. Please be patient with my family.. you know how complicated things can get at times. ♥ Dear Winter, Holy Moley you kicked in this past week. I so confident that we were past the winter with 70 degree temperatures last Sunday. I was almost bragging about it and then looked at what happened! Guess that's what I get for opening my big mouth! ♥ Dear Brittany, I loved our conversation last night. I miss you so much. Happy Valentines Day princess. ♥ Dear Mom, Happy Valentines Day. I miss you a bunch and know the past week has been hard on you. It will be ok.. I promise. Love you mom. ♥ Dear Scott, I really do love you. I'm pretty sure you know it too. Happy Valentines Day. ♥ Dear Jordan, I wish you would stop being a stranger. I miss you and would love for this to be the year that you come back. Happy Valentines Day. ♥ Dear Shanna, Sorry we haven't had as much time to talk. I miss you and hope you have a wonderful Valentines day. ♥ Dear Jackson, I know you have loved being out of school all week and I have loved having you home. Your such a sweet heart. I love you.. Hope you like you Valentines. ♥ Dear Laci, Happy Valentines Day! I hope you are loving your new apartment.. I know its exciting and I am sure you will enjoy all the freedoms your very own apartment will bring you. I love you. ♥ Dear Laura, I wish we could just move you in. I know you can't do that right now but I hope you know you can come anytime you want. I wish things were easier for you but hold on.. because it will be ok...promise. We love you.. Happy Valentines Day! Kiss the girls for us. ♥ Dear Trina, You know.. you sounded sad the other day on the phone. We need to make time to talk. I miss you and hope you start feeling better. You can call me anytime if you just want to talk. Scott and I love you.. happy Valentines Day. ♥ Dear Zane, I wonder what is going on down there with you. Nothing hurts more than getting to know and love a child to not talk to them for a year. I am sorry were not allowed to talk. I miss you and so does your dad. Your Valentine is on the way! ♥ Dear Grandma, I don't know how to talk to you anymore. Its so hard to understand you and I am not even sure you know who I am anymore. I hope you know that I miss you and think about you all the time. I am coming home soon and plan on seeing you then. I love you. Happy Valentines Day. ♥ Dear Michael Dunn, I think you are about to go to prison. You should have never shot at those boys in the car. I was ready to hate you but did find you kinda believable but your actions from that night speak louder. Sorry but you took a kids life and could have killed the others and never even called 911. I bet your praying while waiting on your verdict. ♥ Dear Don, Thank you for your sweet messages checking in on us. I have to admit.. even though you are a Republican.. I think I like you the best! Thanks for taking such good care of mom. Happy Valentines Day. ♥ Dear Art Thank you for being the father Brittany needs. I think you are doing a pretty good job with her. Hope you guys have a great Valentines Day together. ♥ Dear Bloggy/Youtube Friends, Thank you guys for your constant love and support. I finally got all the holiday cards responded to. Sorry it took so long.. there were a lot. And there could still be more in the post office. If that's the case.. I will get will respond to those asap. Thank you for taking time to send me a card and let me know a little more about yourselves. I loved each one of them. I hope you all have a wonderful love filled day! 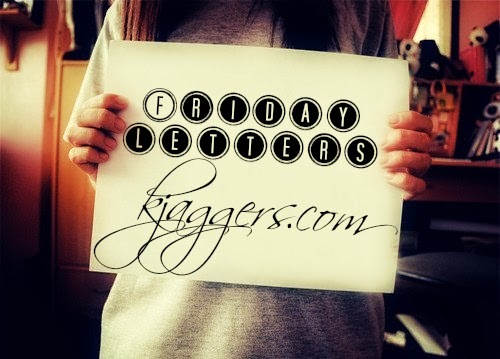 1 comment on "Friday Letters ♥ Love Notes"